UW-Madison’s Showcase, which highlights innovation and collaboration, returns March 16 with more than 80 poster presentations, four unique breakout sessions and a compelling keynote speaker. The events take place from 8 to 11 a.m. in Varsity Hall of Union South. Showcase is free, but registration is requested. A single registration will admit you to the poster session, break-outs and keynote presentation. Showcase is an opportunity to learn about initiatives and projects that have been successfully implemented across the UW–Madison campus and explore the details with the individuals who made them happen. People frequently remark that Showcase is their opportunity to meet colleagues and be introduced to projects they would never know about otherwise. Concurrently with the poster session, attendees may choose to attend break-out sessions. About 45 minutes long, they are held in separate Union South meeting rooms at 8:15 a.m. and 10:15 a.m. and feature panels of speakers. Break-outs will focus on Communities of Practice, Leveraging Merged Data to Inform Marketing, Design Thinking with Local to Global Student Experiences, and Data-based Decision Making Using Student Data. New this year are the Poster Flash Talks held in the Marquee Theater. This 9:15 a.m. session allows audience members to see a cross-section of posters from the total displayed in Varsity Hall with narration from the poster and innovation creator. At 11:15 a.m., Chancellor Rebecca Blank will introduce this year’s keynote speaker, Kevin Conroy of Exact Sciences, Inc. Conroy has led Exact Sciences, as president and CEO since 2009 and as chairman of the board since 2014, toward its vision of “helping win the war on cancer through early detection.” His keynote presentation will showcase the innovation and collaboration required to grow a vision-forward company based on “strong science,” as well as challenge UW–Madison departments, divisions and centers interested in meaningful change. 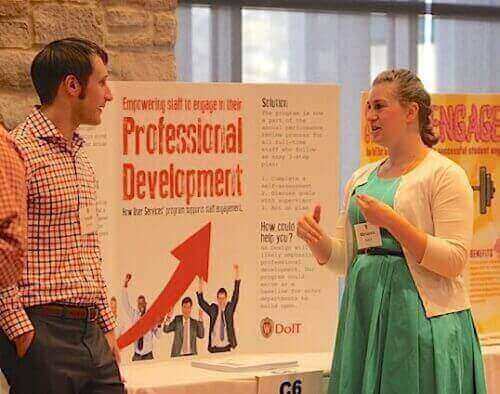 The Office of Quality Improvement (OQI) maintains a list of the posters and break-out sessions, along with posters and presentations form prior years at quality.wisc.edu. 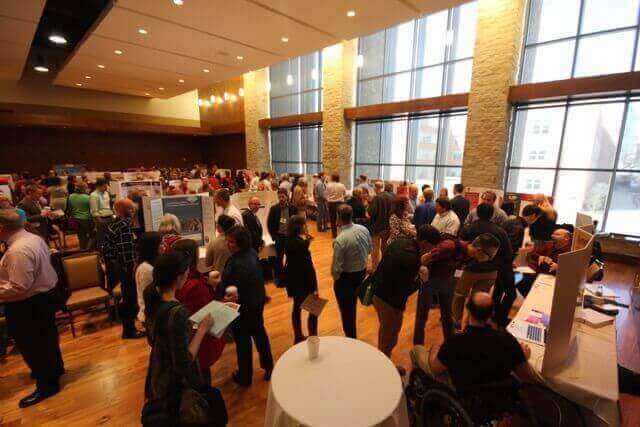 Showcase is sponsored jointly by the Office of Quality Improvement (OQI) and the Office of Talent Management in the Office of Human Resources, and is open at no charge to all faculty, staff and students at UW–Madison.